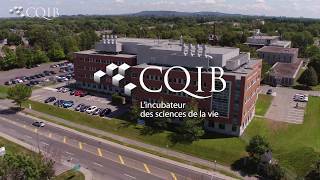 The CQIB is a life science companies incubateur supplying laboratories, offices and a high end pool of equipment. CQIB’s greatest added value is its business mentoring service. New clients have immediate access to a team of experts and technical/commercial validation to speed up the start-up process while minimizing the risk. Our careful screening process ensures that only viable companies are admitted to CQIB, which also makes it easier to secure funding. Start-ups have access to all of CQIB’s services. To date, over 50 companies have chosen CQIB as the place to launch their enterprise, benefiting from the support of a seasoned team and an environment conducive to business development. Residents have access to fully furnished level 2 bio-safety laboratories outfitted with fume hoods, type 2 reverse osmosis purified water system, natural gas, nitrogen gas, a central vacuum system, emergency power and a sophisticated ventilation system. Security and biomedical, chemical and radioactive waste management services are included. Resident companies have access, at no additional charge and on a shared basis, to a wide array of scientific instrumentation. Additional equipment and services are available at the INRS-Institut Armand-Frappier, accessible by underground walkway: sequencing, oligonucleotide synthesis, mass spectrometry, flow cytometry, electron microscopy, animal facility and testing services. After 21 years in operation as a business incubator for emerging life sciences and health technology companies, CQIB has become the reference in start-up mentoring. We offer a wide range of consulting services for entrepreneurs (pre-incubation) and companies (incubation). Mentoring services: In partnership with the Economic Development Service of the City of Laval, CQIB’s business mentoring program guides entrepreneurs to the best human and financial resources available. Technical services: A start-up must also quickly organize its R&D activities and get its laboratories up and running. CQIB’s technical team helps resident companies design, set up and run their labs.